We all get fed up with the BBC relentlessly promoting the progressive establishment line and downplaying references to the traditional cultures of the UK. It need not continue – the Danes have shown that it is possible to reverse the trend. The Danish Ministry of Culture has just issued Danish Radio its official government contract for 2018-2023, which announces some pretty significant budget cuts entailing the loss of approximately 400 jobs. But that is not the most significant aspect of the contract. The public broadcasters have been given a new set of guidelines. Their programming is now required to bolster Denmark’s native cultural heritage, as well as emphasise the foundational role of Christianity in Danish society. Danish Radio are now contracted to make clear that Danish society is based on the principles of democracy, which have their roots in Christianity. Danish Radio ‘must strengthen its offer regarding cultural, democratic and historical values in Danish society, including a clear dissemination of Danish culture and the Danish cultural heritage. It must be clear in DR’s programmes and platforms that our society is based on people’s rule and rooted in Christianity. This contract has also conspicuously dropped the previous contract’s emphasis on multicultural ‘integration’, a decision which has angered Left-wing Danes such as the Socialist People’s Party. This turnaround is remarkable, especially when we consider that many Nordic countries have previously been known for wholeheartedly embracing radical secularism, globalism and feminism as their new established state ‘religion’. It reflects a gradually decaying of the progressive Left throughout the Nordic countries as can be seen in Sweden, as well as across Europe. Even the traditionally Left-wing parties in Denmark are turning Right when it comes to immigration. The Centre-Left Social Democrats, Denmark’s largest party, have already announced that they will not form a coalition with any of the parties to their left with whom they have traditionally allied themselves. The Social Democrats have changed their stance on immigration and now advocate tight border security and immigration controls. Responsible for this change of emphasis from ‘integration’ to ‘Christian heritage’ was the conservative populist Danish People’s Party, (Dansk Folkeparti, DF), the second-most popular party in the country. The DF have been remarkably successful in shaping public policy. This new government contract is remarkably explicit about its more conservative priorities, unequivocally stating that ‘DR must put particular emphasis on its role as initiator of and mediator of Danish art and culture and the Danish cultural heritage, including the Christian heritage’. The particular phrase ‘kristne kulturarv’ translated as ‘Christian heritage’ is repeated five times in the contract alongside civic initiatives such as preserving culture and public education. The Danes see a recovery of Christian legacy is necessary if there is to be a defence against destructive progressivism and the Islamisation of society which is eroding Danish distinctiveness. This concern is reflected throughout much of Europe, a continent once thought of as being irreversibly secular. People are gradually embracing the necessity of Christianity to maintain national unity and stability. 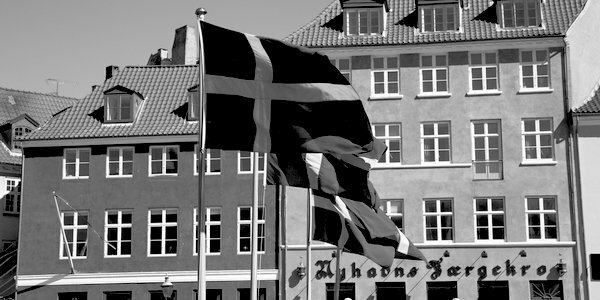 The Danes recognise that simply closing the borders and halting immigration is not enough. If there is to be any safeguard against multiculturalism and demographic change it is necessary to recover their culture and traditions, the things which make them Danes. Children from the Muslim ghettoes are taught in schools about Danish values, including Christian traditions such as Christmas and Easter. If parents exclude their children from this educational initiative they will lose their child benefits. The progressive Left naturally are aghast at this, claiming it is a violation of the freedom of religion. What they fail to understand is that it is impossible to separate religion from culture and if the children of Muslim immigrants are to integrate into Danish culture they must understand what formed it. Religion, of any kind, is not merely a personal and private conviction, it has immense cultural significance. Culture inevitably arises from an ultimate ideal; without that ideal there is no coherence and the culture will cease to exist. In Europe that ultimate cultural foundation is Christianity. Muslims can worship as they wish in Denmark, and practise their traditions as they wish, with few exceptions such as FGM. They must do so, however, as Danish citizens. To be Danish citizens they must understand and respect the identifiers which make up Danish culture. To do this they must get to grips with and appreciate, without necessarily accepting personally, that those identifiers are Christian. At the heart of this, as elsewhere throughout Europe, is Christianity. This is happening elsewhere in Europe, particularly in the ex-Soviet countries. People are realising that multicultural globalism has the deliberate effect of erasing nations. The fightback begins, not with politics alone, but with the recovery of the culture.